In the age of online shopping, most people think twice before heading to a mall, but I truly feel that this mall is one worth visiting! 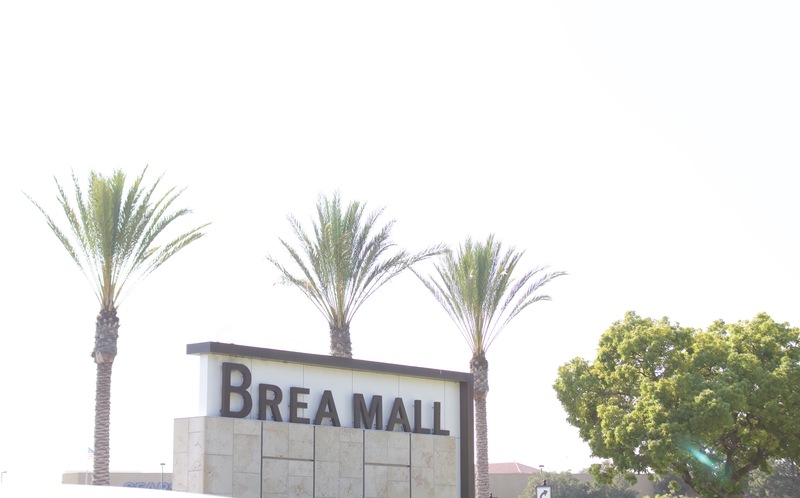 With five major department stores including Nordstrom and Macy’s, along with more than 175 speciality shops, a full service day spa, and many well-known restaurants, Brea Mall has so much to offer. Having recently completed a property renovation, it has a modern look and feel to it, as seen in some of the pictures below. My tip is to block off an entire day when you visit because I always end up staying longer than I expect to. In fact, I usually make a day of it! 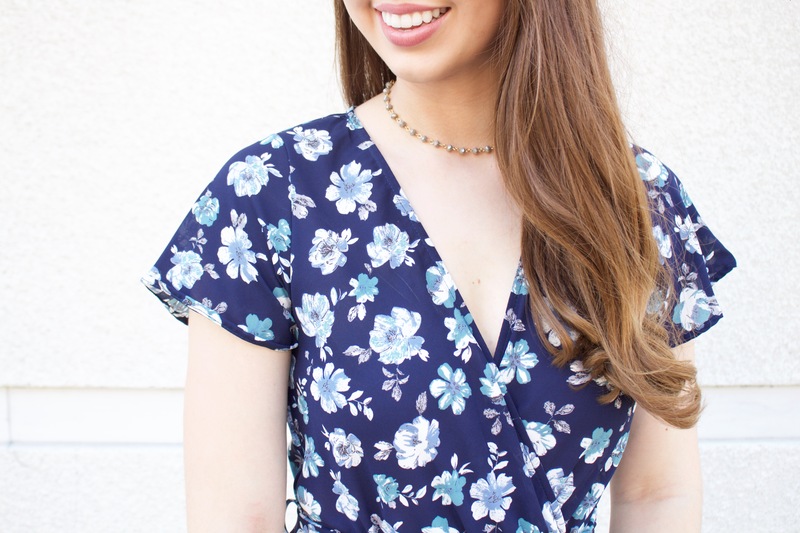 To show you what the mall has to offer, I recently visited and styled outfits for four summer occasions, all of which feature clothes from stores at Brea Mall. 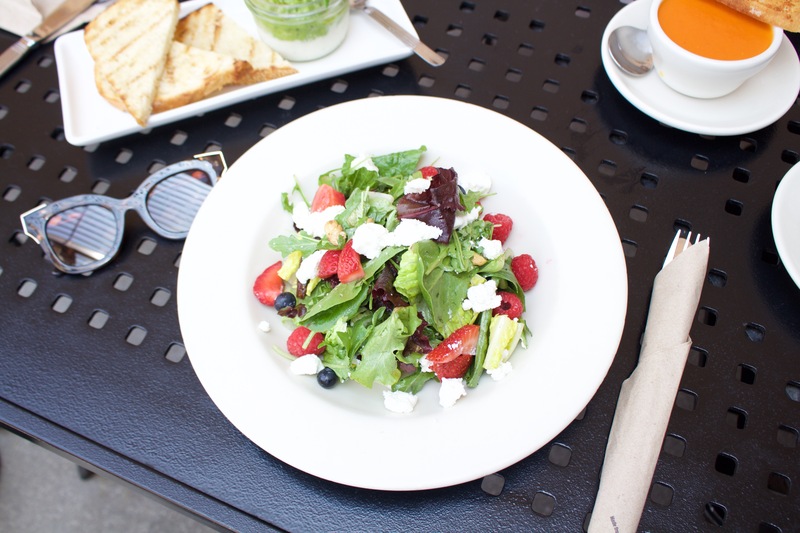 Keep reading to see those + find out about one of my favorite lunch spots at the mall. 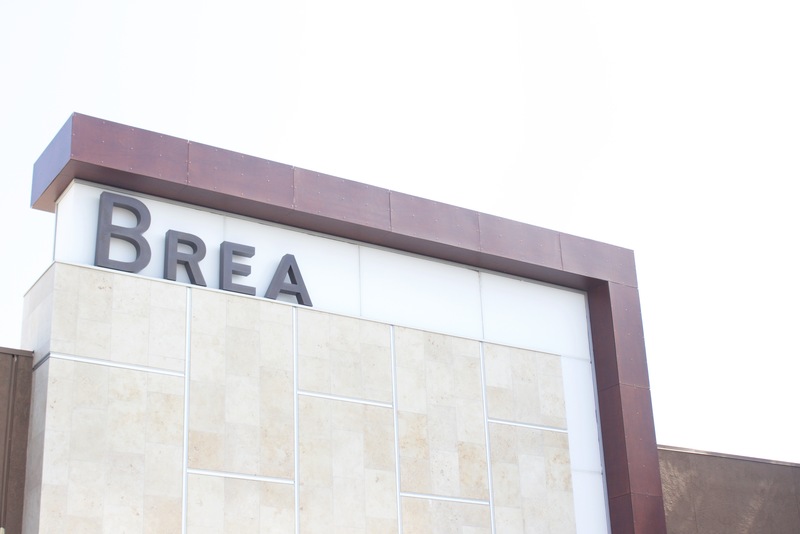 Before jumping into the four outfits, I have to say that Brea Mall has SO many great stores. When I first visited, I was surprised by the large selection. Some of my favorite clothing stores at the mall include Nordstrom, Daisy Shoppe, H&M, Lululemon, and Forever 21. Other stores include Charlotte Russe, Cotton On, Express, Coach, and Steve Madden. It’s honestly a one-stop-shop for clothing and dining and the mall does a wonderful job of providing a fun shopping experience. With the warmer weather during the summer months, I definitely dress more casual this time of year. However, there is no need to sacrifice style when you’re rocking a more casual outfit. 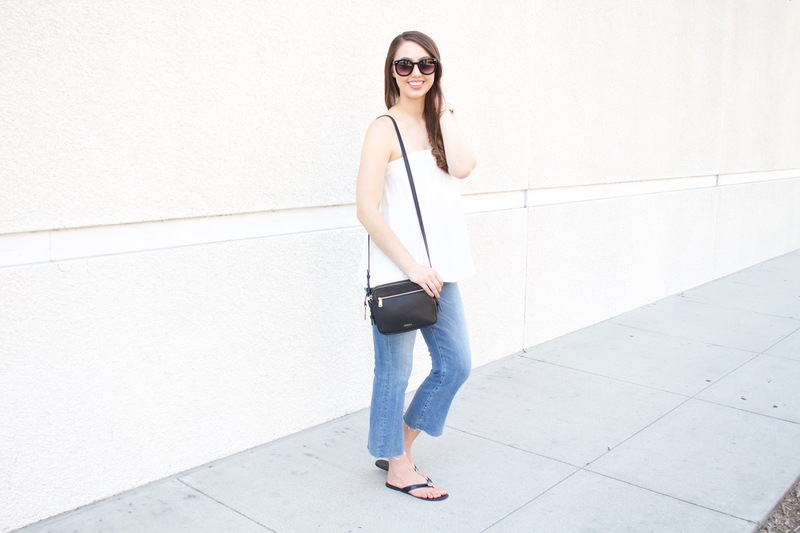 To create this everyday summer look, I paired a strapless linen top with cutoff light-wash jeans, both from Urban Outfitters at Brea Mall. Then for accessories I chose simple black sunglasses from Urban Outfitters as well as a beautiful watch and crossbody bag from Fossil. 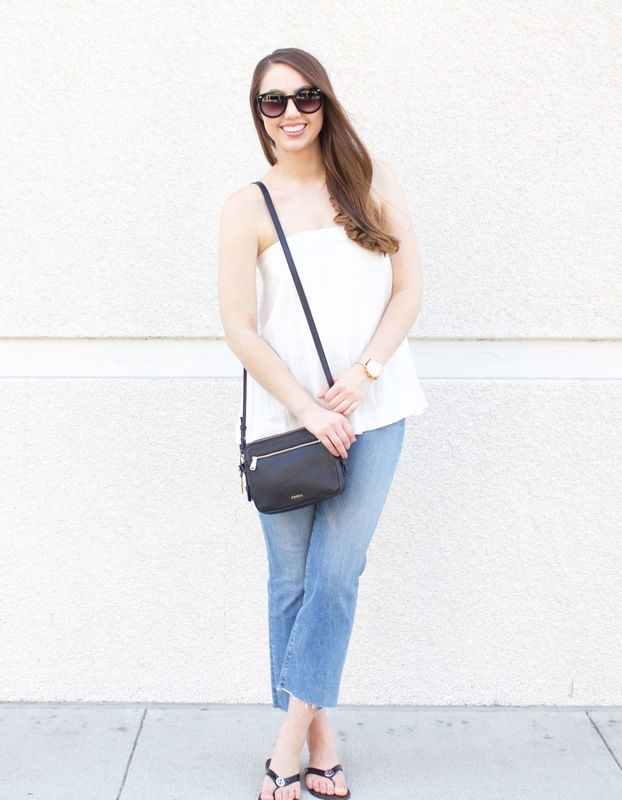 This look is perfect for grabbing lunch with friends or even running errands! Also, how cute would this outfit be for a summer date night?! I’m not gonna lie, one of my favorite parts about working out is wearing cute workout clothes. When I saw that Brea Mall has a Lululemon, it was no question that I was going to style a workout look from there. With the Brea Mall location having just opened in December, the store is immaculate! Whether you’re really into working out or you’re a fan of the athleisure trend, Lululemon always has the cutest athletic wear. Since summer mornings and evenings can sometimes be chilly, for this look, I chose to layer a light mesh jacket on top of a neutral tank and plum yoga pants. 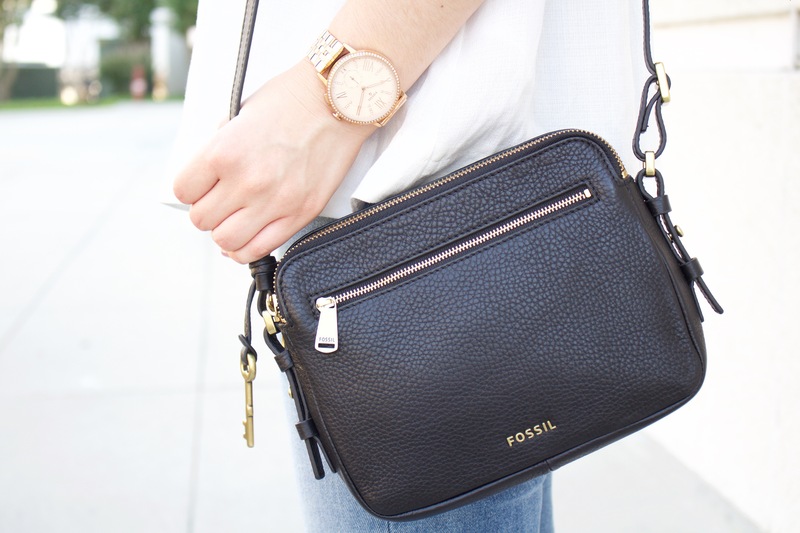 Then, I added a beautiful black leather bag from Fossil, also located at Brea Mall, to pull the look together. Chances are you have at least one wedding to attend this summer and the Daisy Shoppe at Brea Mall has you covered. This store is so cute and girly. Whether you’re in need of a new outfit, birthday present or hostess gift, this place has it all. While in the store, I was immediately drawn to this blue floral, high-low dress. Since the deep v-neck already makes a statement, I decided to keep the accessories to a minimum, just adding a choker, small sequin clutch, and a beautiful watch from Fossil. Planning a girls’ night out? This outfit is perfect for the occasion! 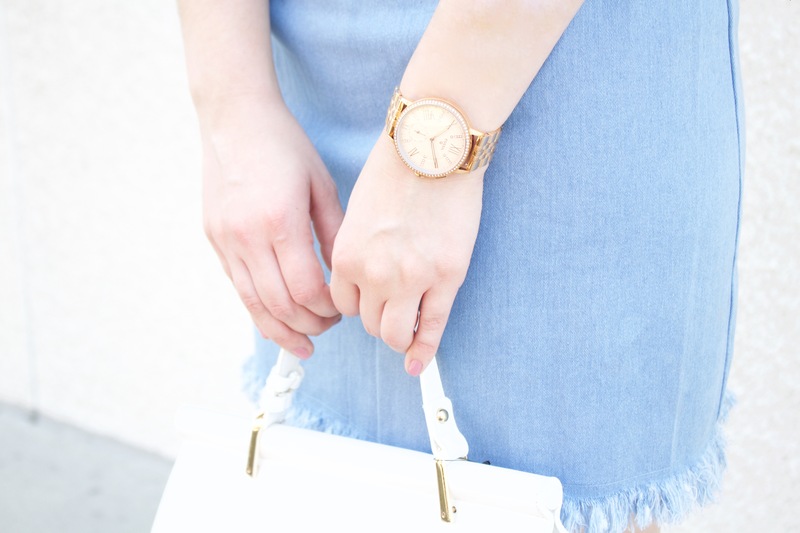 I love a good denim dress for summer and this one from Forever 21 at Brea Mall is no exception. The fact that it includes both an off-the-shoulder element and a fringe hem makes it that much better. While this dress could be worn for a more casual look, by pairing it with wedges and a structured bag I made it more nighttime appropriate. I did add sunglasses to the look as well since it does stay lighter later during the summer. After so much shopping and styling the four outfits, I worked up an appetite. While Brea Mall has many restaurants including The Cheesecake Factory and California Pizza Kitchen, I couldn’t resist eating at one of my fave lunch spots, Nordstrom Cafe! Not only does the location at Brea Mall have delicious food, but the staff is so nice and accommodating. While all the food was amazing per usual, my favorite part of the lunch was sitting on the outdoor patio. This is one of the unique features of this location. It is such a peaceful space to grab a bite to eat whether alone or with friends. 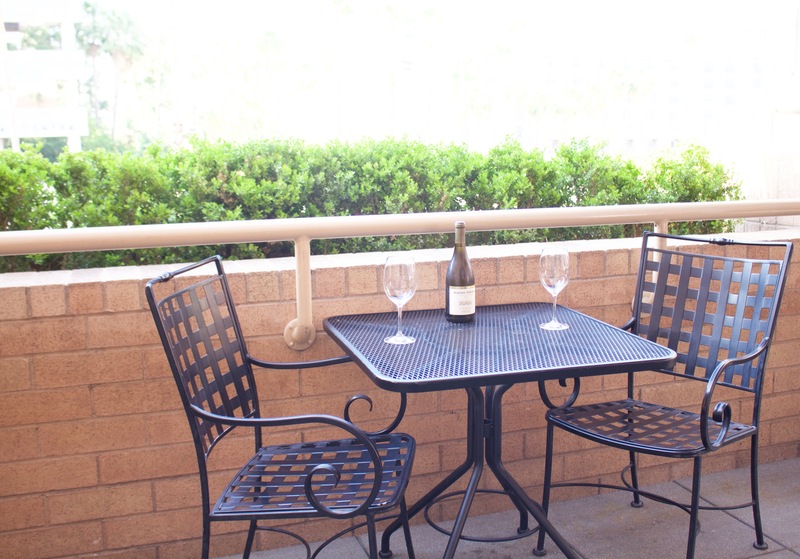 And, if you’re a wine lover, they don’t mind if you bring your own bottle – there is no corkage fee! As you can tell in the photos, I tried a little bit of everything off the menu. 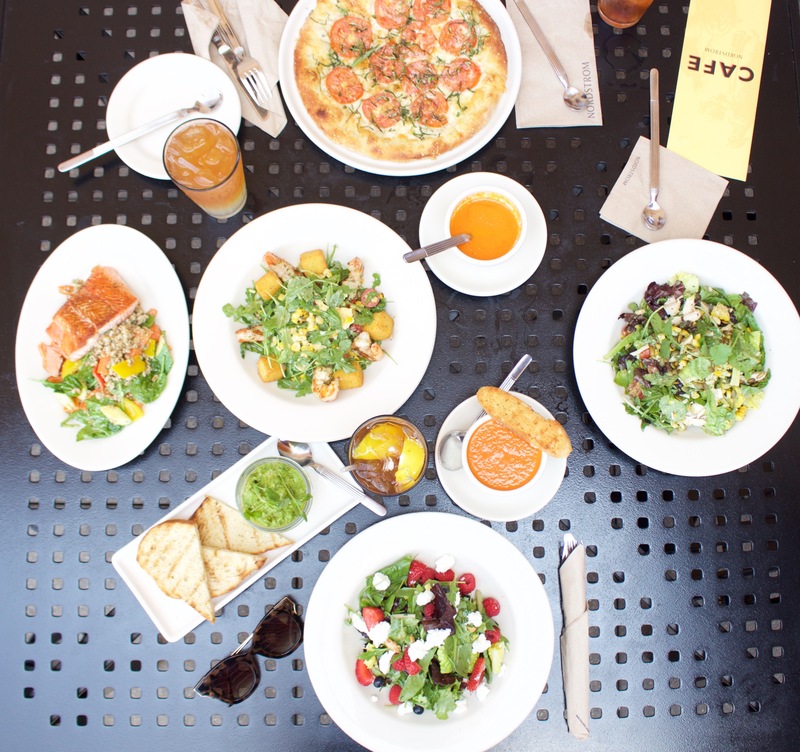 Though Nordstrom Cafe’s tomato soup and margherita pizza are my go-to menu items, some of my new favorites include the fresh berry & fig salad (seen in above photo) and the cilantro lime chicken salad. 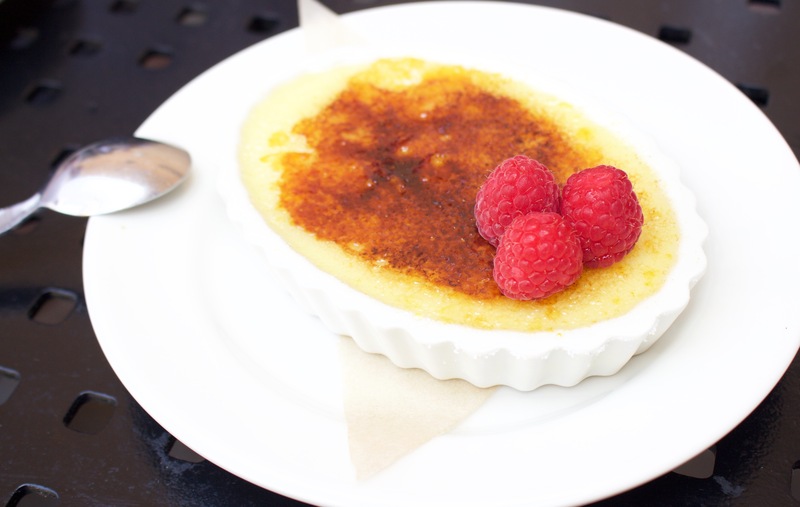 While I was super full after tasting these yummy dishes, I couldn’t resist the creme brûlée. I would come back just to sit on the patio and eat this yummy dessert! All I can say is that I’m excited for my next trip to Brea Mall! If you’re looking for something to do in the OC, I recommend visiting. The address is listed below for you 😉 Also, tonight on Instagram I’m doing a giveaway for a $50 gift card to the mall. Details: The giveaway runs from tonight until Friday, July 14 at midnight PST and winner must be able to pick up the gift card at Brea Mall. Brea Mall is awesome! 🙂 congrats on your post!